Founded in 2003 with a strong background in erection as well as fabrication, Stateline was instantly a force in the marketplace. Our shop uses some of the latest CNC equipment available to produce an accurate product while maintaining budget and difficult delivery schedules. We can perform all types of steel work including large misc. metals projects. With the help of our Engineers and Detailers we can fulfill your entire metals scope of work. Fabrication is streamlined by use of our CNC fabrication equipment. 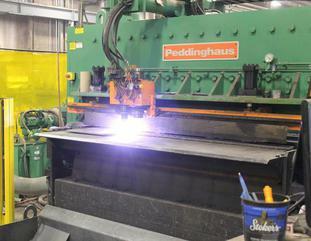 Steel plates are piece marked, punched and cut to size quickly and accurately! 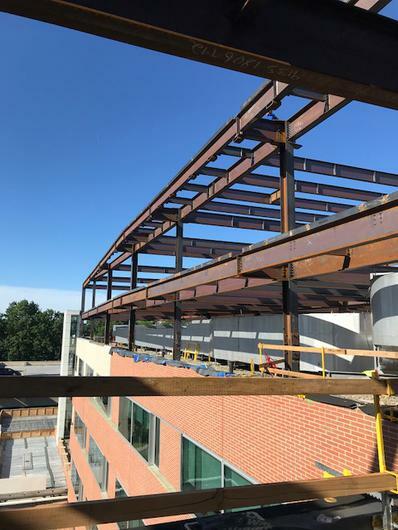 Structural steel fabricated in our Harmony NJ plant and erected with our field crews.